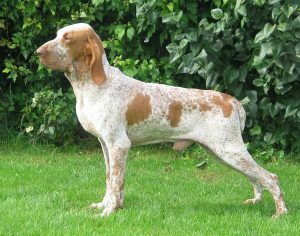 The Bracco Italiano is depicted in the fourth and fifth centuries BC. 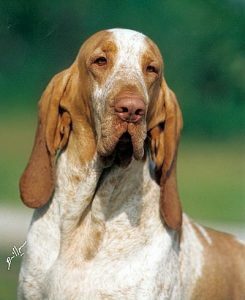 Dating back 2500 years, the Bracco Italiano is one of the world’s oldest hunting dogs. Host Laura Reeves is joined by Bracco Italiano Club of America member Marilyn Vinson to learn more. 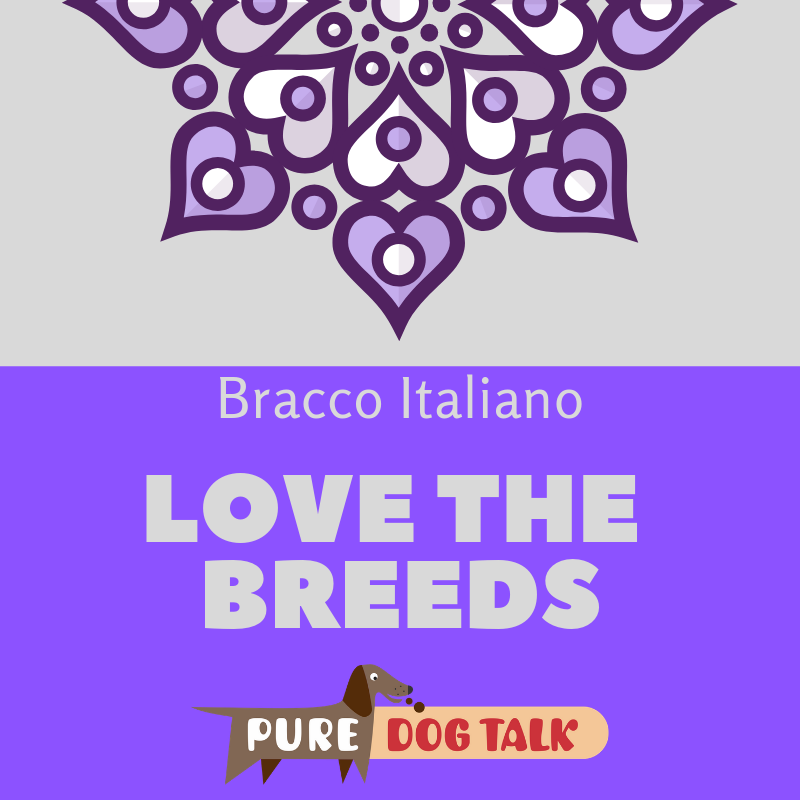 Braccos are frequently compared to the Spinone Italiano, but Vinson said the similarities are more in country of origin than in appearance. And while the Bracco may have a very houndy look, Vinson said, they are a versatile hunting dog, designed to hunt, point and retrieve. Vinson said the breed’s characteristic trot is one of its most identifying features. While the Bracco may sometimes appear to be “put together with rubber bands,” Vinson said the trot “is like a hot knife through butter, so smooth.” The breed’s enormous 10- to 12-foot long stride is designed to keep them working efficiently all day in the hunting field. The Bracco Italiano is a “breed of angles,” according to enthusiast Marilyn Vinson. Braccos came to the attention of enthusiasts in the US in the late 1990s, with the first dog registered with AKC’s Foundation Stock Service in 2001. According to Vinson a teenager in the Midwest formed original club, with help from other fanciers. The priority for the Bracco is to be a dual dog, Vinson said. The standard is the description of dog best able to hunt all day. Currently working its way from FSS to Miscellaneous, and eventually regular group status, the Bracco has become popular with exhibitors for their easy-going disposition and “Gumby-like” properties, Vinson said. The breed currently competes in AKC pointing breed hunt tests, agility and more, as well as in FSS/Open conformation shows. 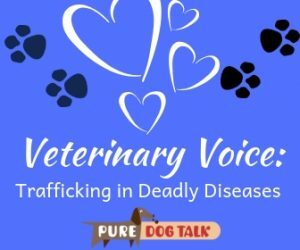 The breed is generally long-lived, but can encounter issues with skin allergies, kidney problems caused by amyloidosis and is affected by bloat.